I think Tyler Haws is pretty dang amazing. In fact, I'm going to make a few predictions here about some ways I believe he can (and will) get himself into the BYU record books, within just a few years of the departure of The Jimmer. But first I have to say he is NOT the "Next Jimmer." As I've adamantly said before, NO ONE is or ever will be the "Next Jimmer". But there can be a one-and-only Tyler Haws who becomes a legend of his own . . . and I think there definitely will be. While I was not yet the BYU basketball fanatic that I am today during Haws' freshman year in 2009-2010, I did attend several games, and he really stood out to me. He handled the ball well, he could shoot, he could score, and he could defend. But this year, he has totally exceeded my expectations in almost every way. Tyler not only started out his sophomore season (this year) better than Jimmer did his sophomore season . . . but he is also already almost the same in stats as Jimmer was his junior year, and he's even getting close to what Jimmer averaged his epic SENIOR year. That is truly incredible, especially since he spent the last two years away from basketball on a mission in the Philippines. In short, he's low on assists compared to Jimmer, but he's a much better rebounder, and he is getting really close to Jimmer's scoring averages, about even with Jimmer's junior year. My conclusion: Tyler is at least a year ahead of where Jimmer was at the same point in time in his career, in terms of skill, scoring ability, composure, and precision. For example, in the infamous St. Mary's game on Wednesday, Tyler wasn't even phased when he had to take two incredibly difficult shots right in the end, and he sunk both of them. Unfortunately, Tyler's last-second shot was overshadowed by Dellavedova's amazing 30-footer at the buzzer that won the game for the Gaels (I am still feeling nauseous from that night). But Cougar fans should remember that Delly's shot was pure luck, and Tyler's shot was pure skill. I can't remember who it was, but I saw a Tweet the next morning that said, "Our white guy is better than your white guy, any day!" Haha, I totally agree! Obviously, I love Jimmer more than a normal person should, but I think Tyler is stronger, faster, and more athletic. He's the best free throw shooter BYU has ever had. Plus, he's a better rebounder and defender than Jimmer ever was. It wouldn't surprise me if he became a really good combination of Jackson and Jimmer. Ty just hasn't received that ability Jimmer has to score, score, score, score, score, and he doesn't have Jimmer's range (not yet, anyway). But Jimmer didn't always have that either. So, if he stays on track and works hard, that mean's Tyler's senior year could be as epic as what might have happened if Jimmer had been able to stick around in college for a 5th year and didn't get thrown to the wolves on the most selfish team in the NBA. :( #FreeJimmer! I don't think he'll break all of those-- in fact, I don't want him to break all of those. Jimmer still deserves to stay in the record books for a very long time. But I think Tyler will break a few of those records. And I think no doubt, he'll be an All-American, maybe as soon as next year. He's definitely good enough. Keep up the good work, Tyler! 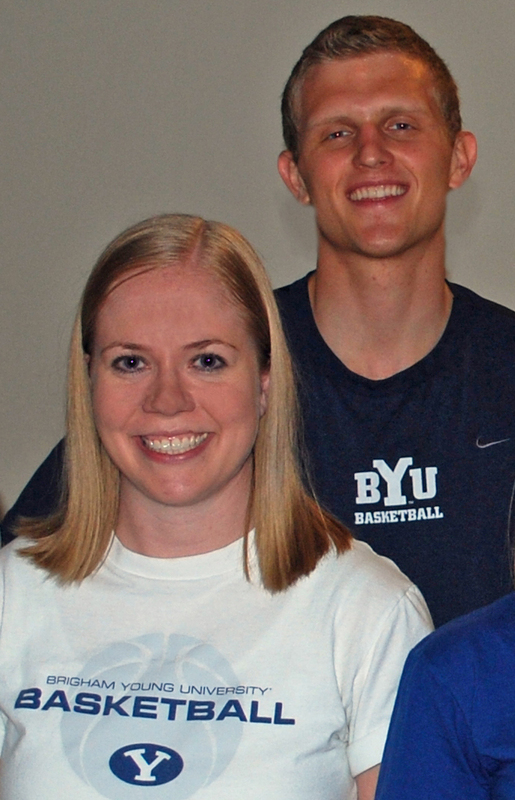 You've already won a place in my book of all-time favorite BYU basketball players for sure! Go Ty and Go Cougars! I also think Haws has greater NBA upside than Jimmer.